When May’s mother dies suddenly, she and her brother Billy are taken in by Aunty. However, their loss leaves them both searching for their place in a world that doesn’t seem to want them. While Billy takes his own destructive path, May sets off to find her father and her Aboriginal identity. Her journey leads her from the Australian east coast to the far north, but it is the people she meets, not the destinations, that teach her what it is to belong. In this startling debut, Tara June Winch uses a fresh voice and unforgettable imagery to share her vision of growing up on society’s fringes. Swallow the Air is the story of living in a torn world and finding the thread to help sew it back together. Tara June Winch is a writer of Wiradjuri, Afghan and English descent. Her work has won many awards including the International Rolex Mentor and Protégé Award, which saw her work under the guidance of Nobel Laureate and UNESCO ambassador Wole Soyinka. In 2004, Tara won the David Unaipon Award for Indigenous Writers and she is published widely in anthologies, including Best Australian Stories in 2005, 2006, and 2010. 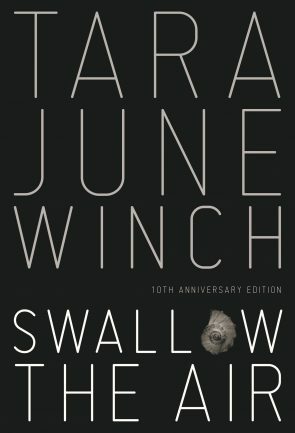 Her first book, Swallow the Air, was published in 2006. She currently lives in Paris.